With the so called war on terror ramping up in the Middle East, and in the wake of the widespread police raids on Muslim homes in Sydney and Brisbane last month and in Melbourne this week, community tensions seem to be on the boil. 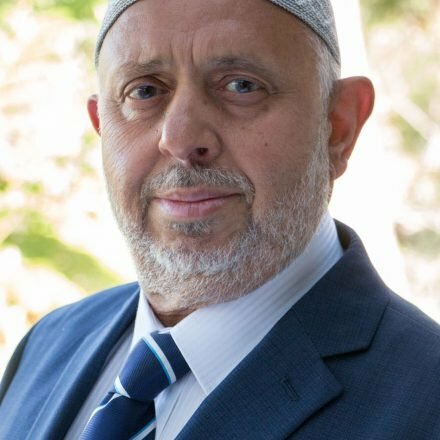 Community leaders have warned that the alarming headlines and beat up stories in the media and vilification of Muslims by radio shock jocks and on social media is creating an atmosphere of fear and hatred in the Australian society that may lead to violence and rioting on our suburban streets. There have been a number of Islamophobic attacks directed specially on Muslim women who are easily identifiable with their Islamic dress code. 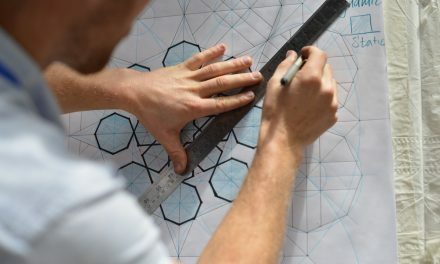 Since the launching of the Islamophobia Register Australia, a large number of reports have been received ranging from verbal abuse, to threats and attacks o n property as well as assaults on persons. 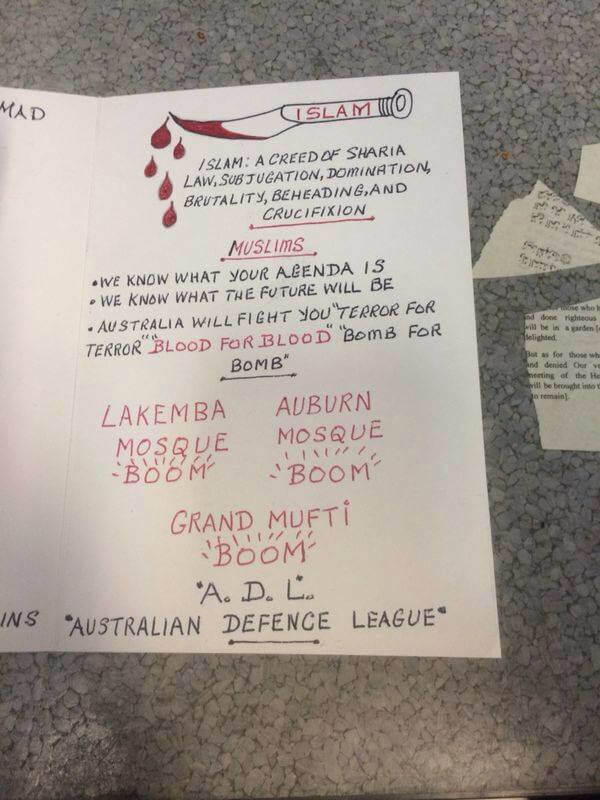 An anonymous threat letter was issued purportedly by Australian Defence League threatening the bombing of the Lakemba Mosque, the Auburn Mosque and the Grand Mufti of Australia. Since the incident of stabbing of two Victorian police officers and death of the assailant, Victorian police have revealed a rise in unreported attacks on Muslim women. The NSW Police Force has urged the community to report all attacks, no matter how minor or trivial, to the police and has warned that it will not tolerate targeting of individuals on identifiable characteristics including race, religion, ethnicity etc. To date there are three reports of Mosques being vandalised in Queensland, the Mareeba Mosque spray painted with anti-Muslim slogans, Logan Mosque in Kingston dumped with anti-Muslim flyers and Holland Park Mosque in Brisbane dumped with a dead pig head. There have been attacks on mistaken identity as well. On 25 September, a young man with a beard, not a Muslim, was allegedly abused and threatened with beheading by a carload of Anti-Muslim teens at traffic lights on a Gold Coast Street. There have also been reports of false attacks. A 41 year old naval officer claimed last week that he was assaulted by two Middle Eastern men outside his Bella Visa home, but the police deemed the report to be false. 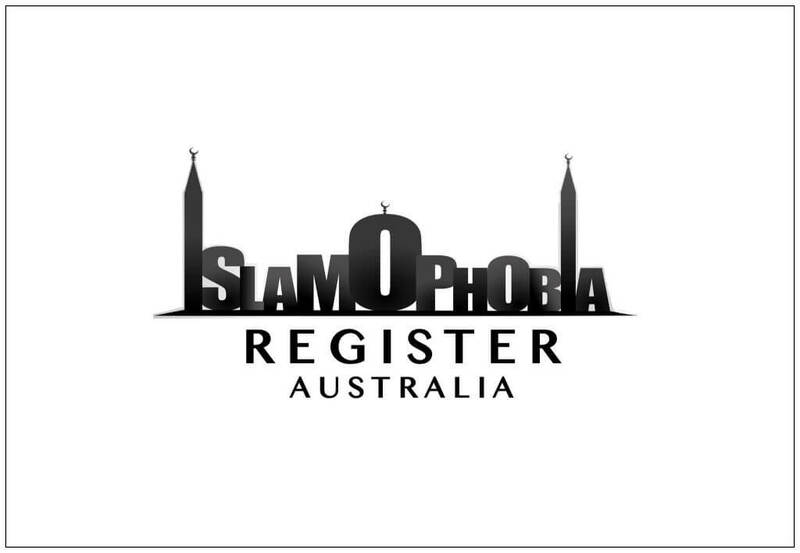 Islamophobia Register Australia has been launched to help capture all incidents of Islamophobia and anti-Muslim sentiments in Australia. www.fb.com/islamophobiaregisteraustralia or email islamophobiaregister@gmail.com . 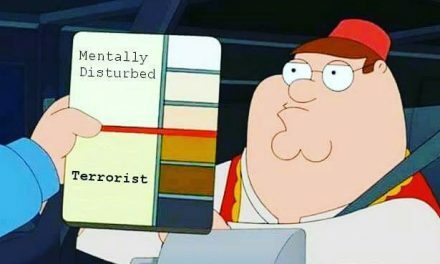 Assaults or attacks on persons of Muslim background. 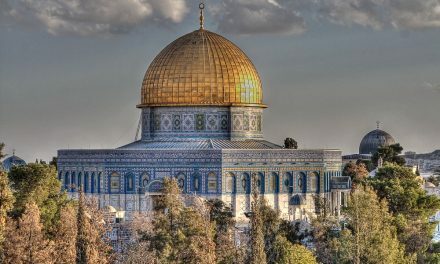 Attacks on Muslim property or institutions. Verbal abuse and hate speech/social media abuse. Unwarranted harassment or interrogation at airports by authorities. Any form of discrimination in a public or private environment.